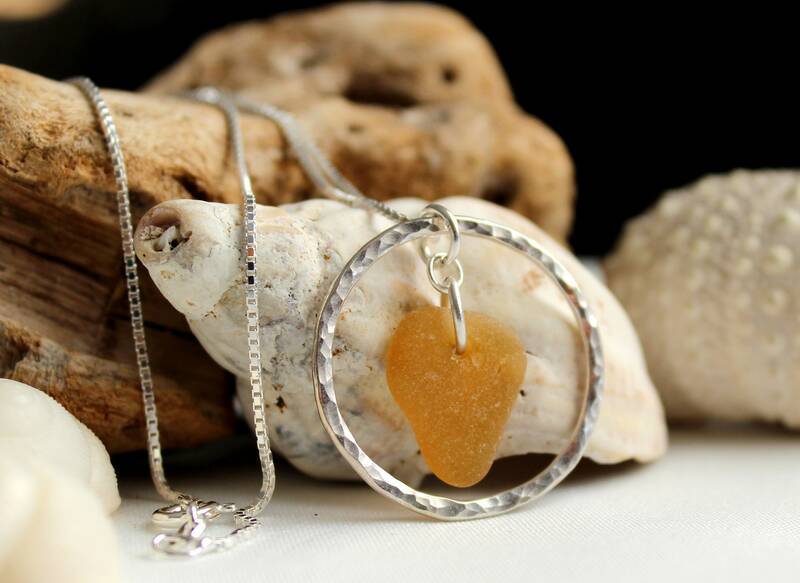 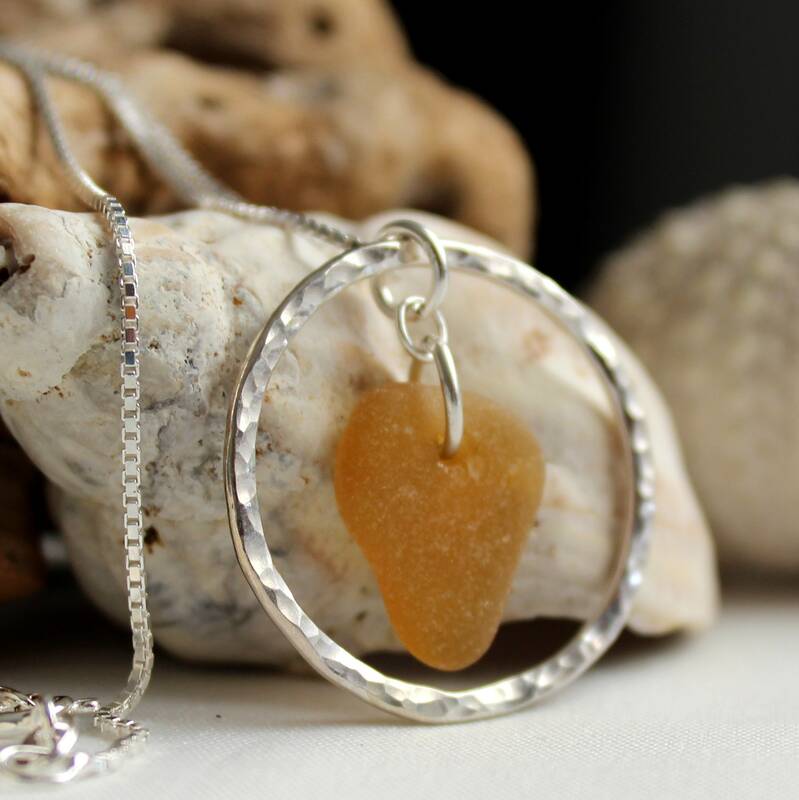 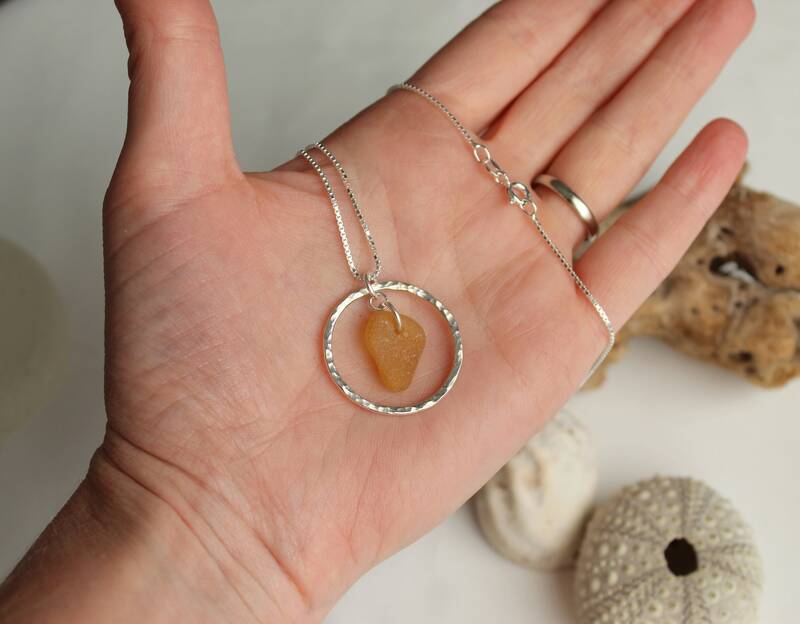 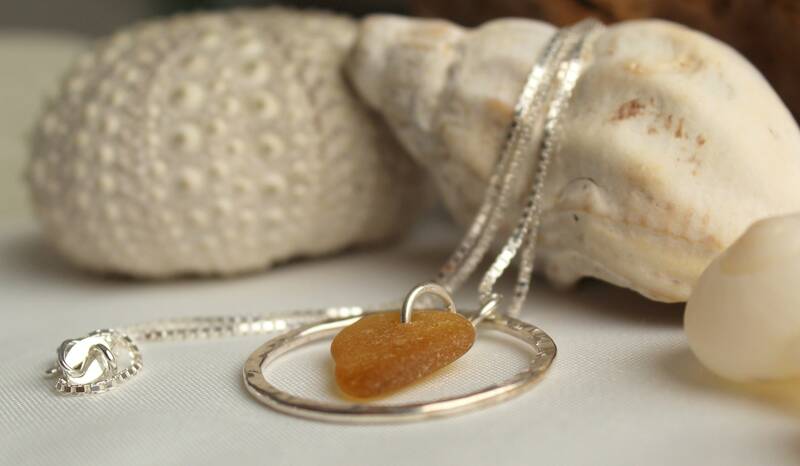 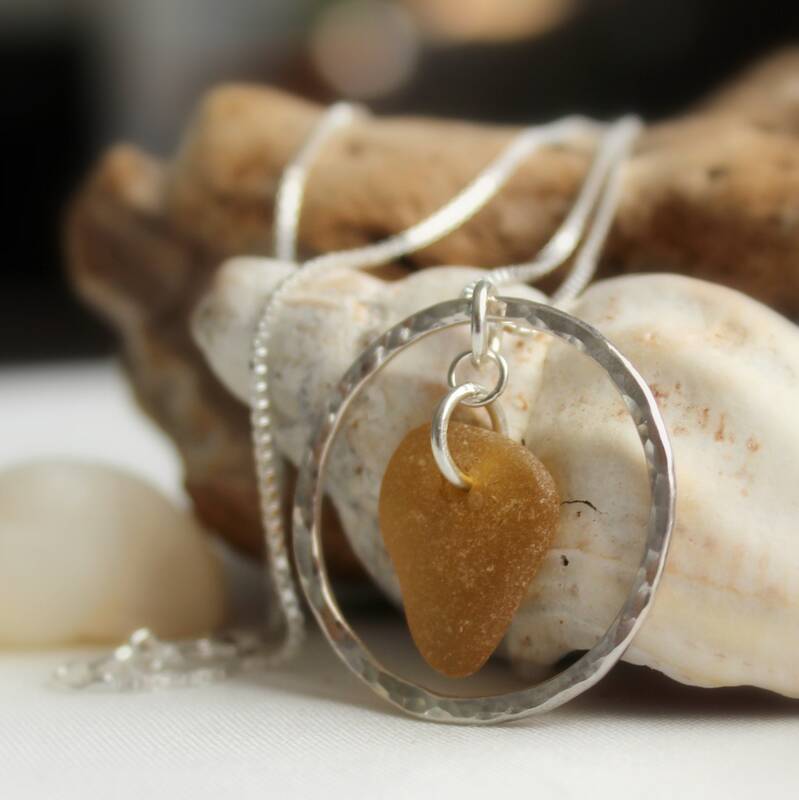 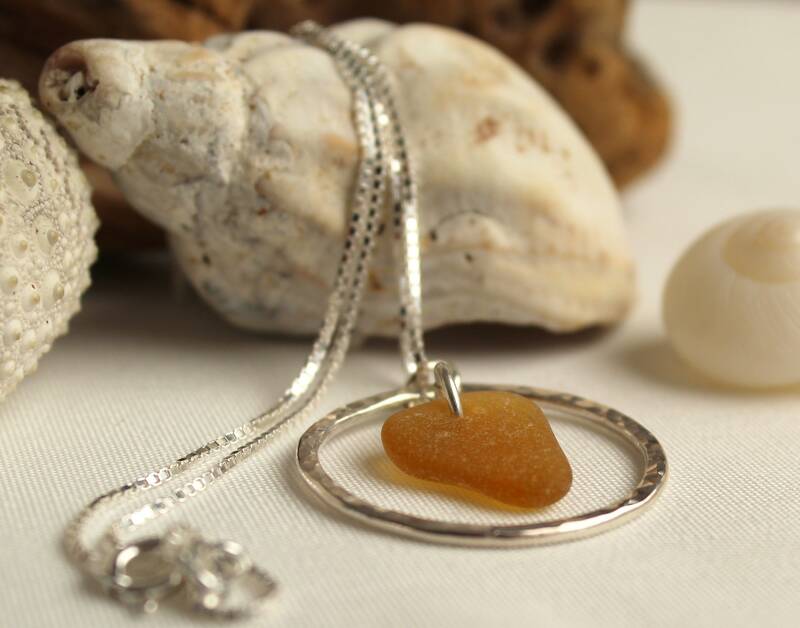 Our Sea Circle sea glass necklace features a gem of genuine amber sea glass suspended in a hand forged, hammered sterling silver ring, beautifully catching the light. 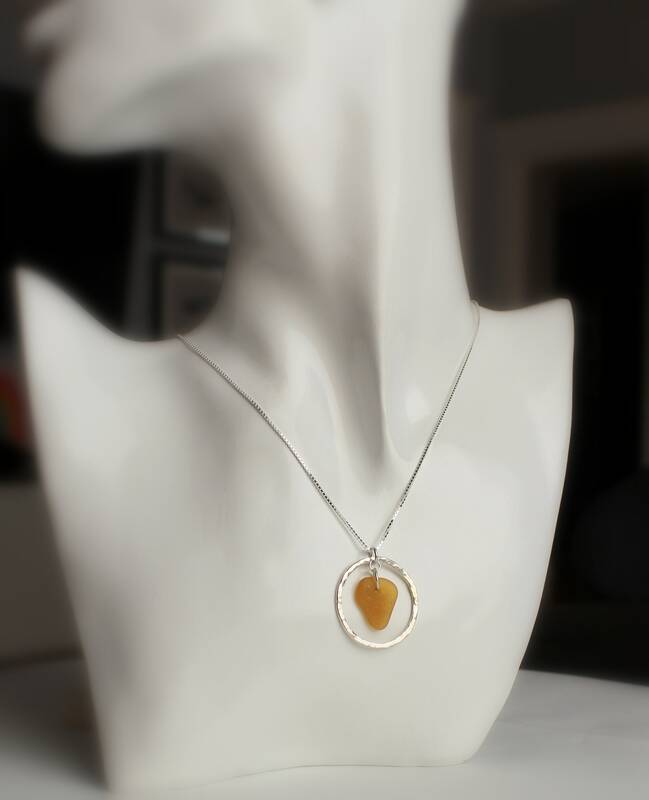 The pendant measures 1 inch in diameter and hangs on a sterling silver box chain, length of your choosing. 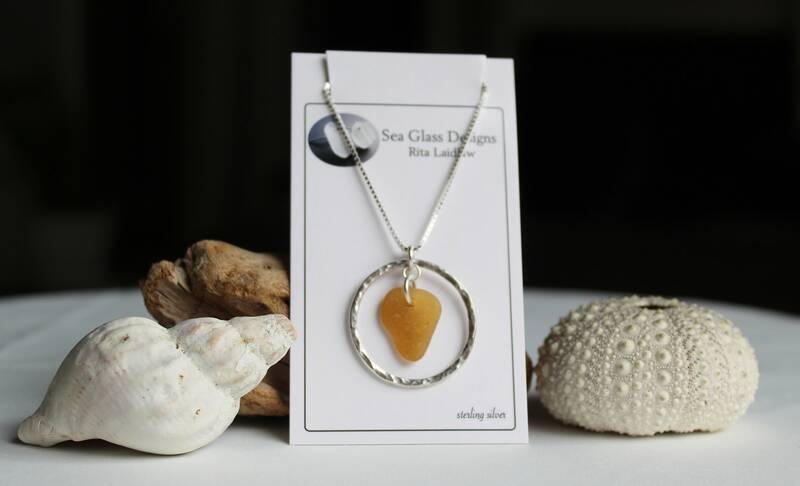 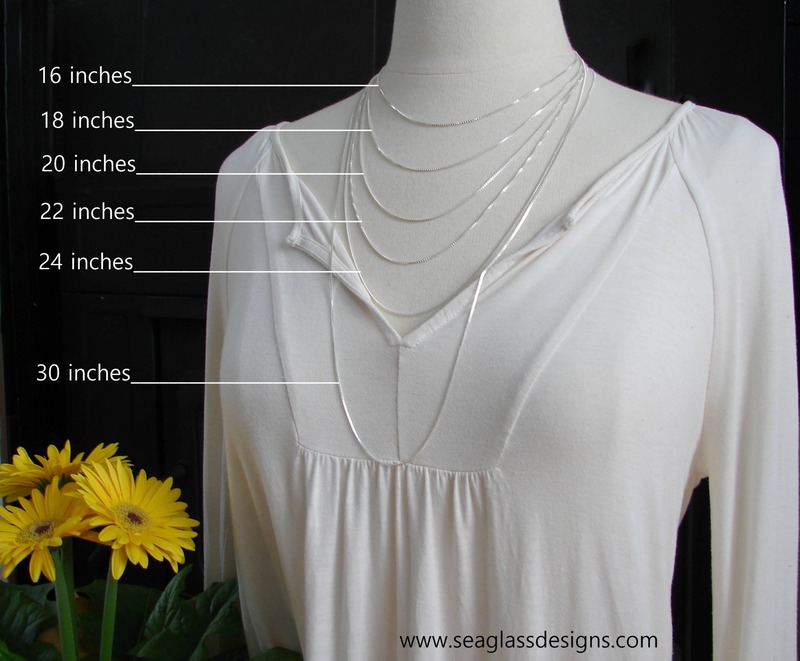 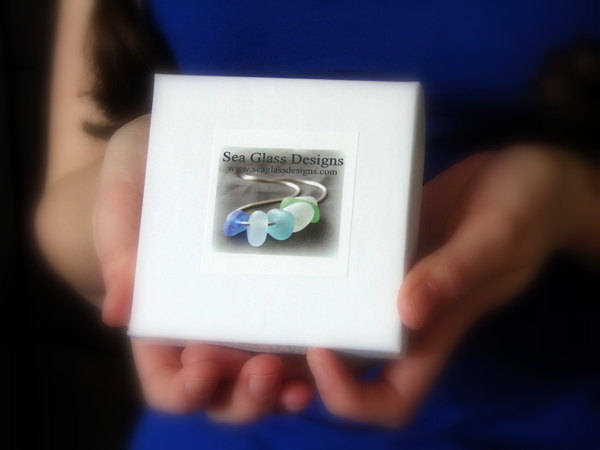 Our Sea Circle necklace is the perfect gift for someone who loves the ocean!